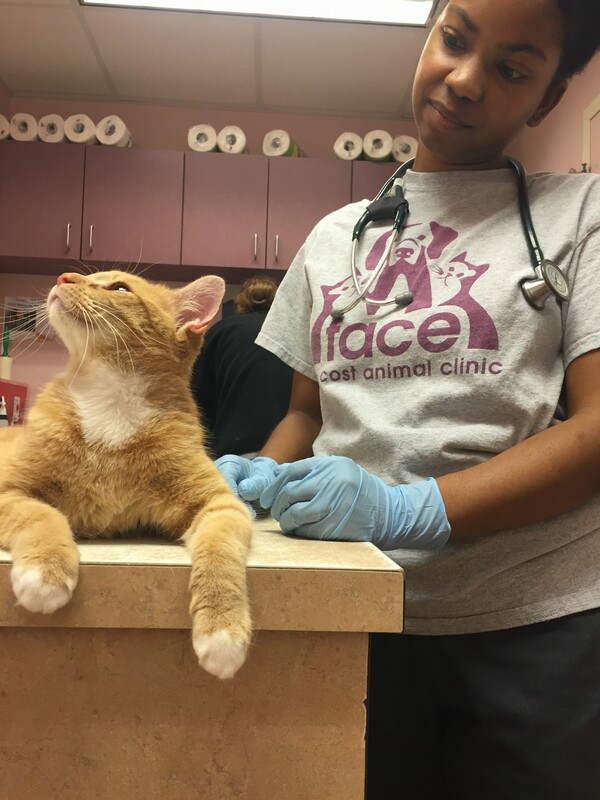 The FACE Low-Cost Animal Clinic specializes in spay/neuter services, vaccines, basic wellness care, and minor illnesses. We are not an emergency provider. Hours for these services are available here. In order to ensure the health and welfare of your dog or cat, vets recommend that you maintain a schedule of vaccinations. FACE offers low-cost vaccines to keep your pets safe and healthy. Our vaccine services are available six days a week. No appointment is needed and our low-cost vaccine clinic is first come, first serve. 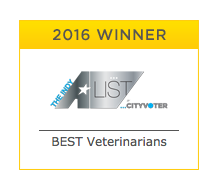 Please Note: There is an additional $10 fee for all vaccinations if your dog or cat is not fixed. This charge is refundable at the time of spay/neuter. If you’re visiting our clinic for vaccines only, please print out the appropriate form below and bring with you. 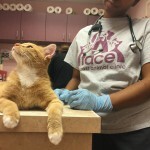 FACE is happy to be able to offer affordable routine preventive care to pet owners. The visit fee is just $35 (additional costs may be required for treatments and prescriptions). No appointment is needed and the clinic is first come, first served. Everyday animals are surrendered to local shelters because owners have no easy access to affordable, routine pet care. With our eye ever focused on a no-kill Indianapolis, we’ll work to keep animals out of the shelter and enable families to keep pets healthy. The FACE is for everyone and your support (even if you can afford to go somewhere else) helps FACE subsidize spay/neuter costs for community cats and individuals who cannot afford to spay/neuter their pets. There will be a $10 office fee for animals 3 months of age or older who are not fixed. Office fee can be applied to the cost of spay/neuter surgery.